Starting Monday, August 20, 2018 construction to renovate Founders Hall building will effect pedestrian foot traffic around Founders Hall, Alumni Hall and Parking Lot “A”. Please be advised that a construction fence is installed in Parking Lot “A” and around portions of Founders Hall. Access between Founders Hall and Alumni Hall to Parking LOT A will remain with an opening in the construction fencing, but will be periodically closed as construction progresses, cutting off direct access to Lot “A”. During these times, Parking Lot “A” may be reached through the north entrance to Alumni Hall and south entrance to Founders Hall. Access to Founders Hall is restricted to lower level and 1st floor as only authorized construction personal may access the 2nd and 3rdfloors during the first phase of construction. 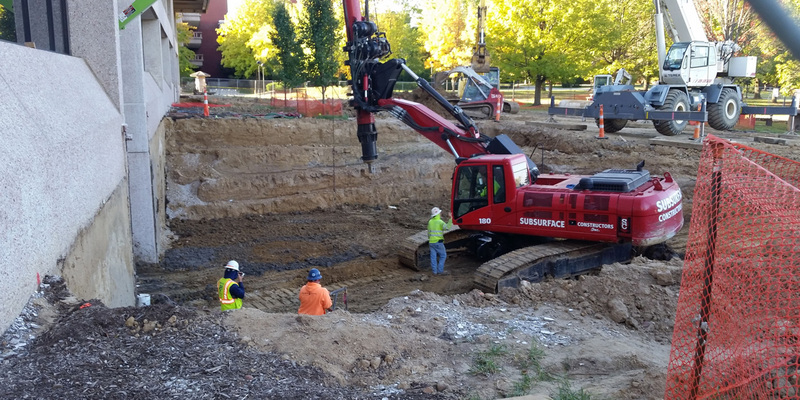 FM will continue to publish updates throughout the construction project via the announce-bounces listserv and on our website, which may be reached at https://www.siue.edu/facilities/. Additionally, if you wish to be included on our project direct email list, please send your email information to fmserv@siue.edu.